The DCA M600 system is a versatile MBE system for metal/oxide epitaxy. 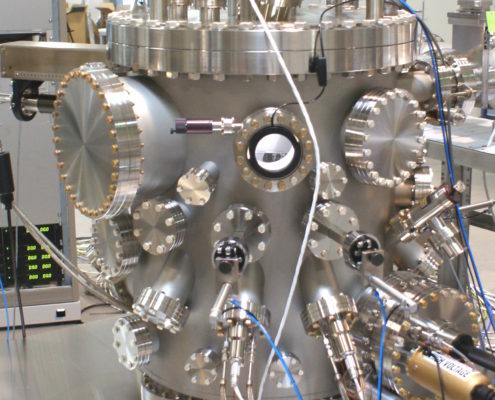 The M600 uses both effusion cells and e-beam evaporators for source material evaporation. For oxide epi, several oxygen sources are available, including molecular oxygen, atomic oxygen and ozone. The system is available with various source configurations, substrate sizes and substrate loading systems. An oxygen compatible high temperature substrate manipulator allows substrate temperatures up to 1000 oC.